Fr. 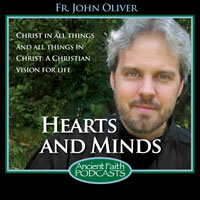 John examines the life and faith of the Holy New Martyr and Grand Duchess Elizabeth. The account of her martyrdom is provided here by a man named Pavel, who is symbolic of the angry revolutionary fervor that captivated Russia and toppled the ruling house of Romanov, into which the grand duchess had married. He is also symbolic of a fallen world that is deeply uncomfortable with people of vigorous Christian faith. This account, in which Elizabeth is called Matushka, an affectionate motherly term in Russian, agrees with the available information we have about the night she was murdered. The month is July, the year 1918. Pavel is speaking. I looked at the clock, saw that it was almost eleven, which was the time for us to begin. With a nod to Yuri, one of the other guards, we started down the corridor and went into her room. Both Matushka and her cell attendant, Nun Barbara, were there, kneeling and praying before an icon of the Mother of God. “It’s time for us to move you to a safer place,” I said. I kept my voice calm and low, because I didn’t want to excite or scare them. The two women quickly finished a prayer and then rose to their feet, their grey robes flowing to the floor. I looked at them: this tall, pretty Romanov woman, dressed head-to-foot in her religious clothing, and her short, devoted friend, and I felt a kind of sorrow for them. They didn’t know what I did, what was to happen tonight, or at least they didn’t know how exactly it was to come to pass. “We have a cart out back for you,” I said, leading the way through the garden. We passed through the rows of vegetables that Matushka and her companions had planted with their own hands. They had heard of the famine and cholera sweeping through St. Petersburg and Moscow. So they had taken it upon themselves to plant carrots and cucumbers, even some potatoes. I was surprised by this, that they could think of the future when not even the next moment was certain. And I was surprised at how much Matushka herself knew about such things. She oversaw the planting work and taught the Romanov men about working in the earth. From the back of the garden, we passed through a grove of apple trees, and there, just after that, we came to a small horse and cart. “We’re taking you to a secret place so we need to cover your eyes,” I said, kind of like it was nothing. Neither of the women said anything. They were so docile, so accepting, like lambs. They did nothing as Yuri and I took the cotton material and tied it around their eyes, blindfolding them. In fact, they even bowed their heads to make it easier for us. They did nothing either as we took the rope and tied their hands behind their backs. Off we went into the darkness, following a narrow dirt lane that passed from the edge of town and into the fields. There was no crying, no screaming. Somewhere along the way, Matushka started singing the Magnificat: “My soul magnifies the Lord, and my spirit rejoices in God, my Savior.” And later, O Gladsome Light. The trip took almost two hours. Our destination was the Nizhni Seliminski mine shaft, where they used to dig for coal or ore of something, but which had long been abandoned. The mine itself was just a big hole in the ground, and it was very deep, which was why we had chosen it as the perfect place. Quite some time later, all according to plan, we came to a small clearing just off the side of the road, and we pulled the carts in there. The night air had cooled pleasantly, and now it was I who looked up into the sky, searching for something but unable to see it, to find it. There was nothing there. Did that mean it was just as Marx said, that there was no God and religion was just the opiate of the people? “Yes, it’s perfectly clear,” I replied. I had the sense we could have uncovered her eyes and untied her hands, and she would not have protested or screamed out or tried to get away. The guards who had gone ahead of us disappeared into the darkness where they had hurried to the appointed spot. Meanwhile, Yuri and Nun Barbara were some 20 paces behind us, half walking, half stumbling through the dark. I hung on tightly to Matushka’s arm as we passed around a clump of birches. And then, just up ahead, I saw our two comrades standing there in front of the deep pit, right on the edge. We had chosen this place not just because the mine was abandoned and not just because it was so far out of town, but because of that—its depth. In a weak voice, I said, “We’re almost there.” I looked into her face then, that beautiful face, and saw them: her tears. One by one, they were rolling out from beneath her blindfold, not a torrent, but a steady flow. Her lips were trembling, and when we reached the small platform where the other two guards were waiting, I said to Matushka, “Please, just one small step up.” She knew the end was coming then, for her entire body started shaking, and yet she stepped up onto the platform without the least resistance. I, too, stepped right next to her and peered into the mine shaft, and saw what she could not: dark infinity. What we know is that, in addition to Elizabeth, Nun Barbara and other members of the Romanov family were pushed into that mine shaft. We also know that the guards waited around to make sure they heard no noises, no signs of life coming from the deep pit. However, they did hear signs of life. In fact, they heard signs of what the world does not understand but what the inner life of the Church knows from experience. They heard signs of that true spiritual lasting abundant life that Elizabeth had cultivated during her years of prayer and service and sacrifice. The guards heard the faint singing of Church hymns. There in the black depths of the mine, they heard the sounds of a co-sufferer, the Christ of the cross, present and real. According to one account, Elizabeth lived long enough to remove her own head covering and use it as a bandage for another, selfless to the end. Finally, to finish the job, the guards dropped burning branches and even hand grenades into the mine shaft. When the tide of the war eventually turned, the bodies were recovered. Lying right next to Elizabeth was found an unexploded hand grenade. Some may see that as merely a malfunction; we choose to see it as evidence of a God who had other plans for the body of this extraordinary child of God, plans that years before any of us listening to this podcast would learn, included a small, beloved parish in middle Tennessee, of all places, named in her honor. God remembered us long before we were ever able to remember him. The brave decision to die for Christ is not made when the rifle is aimed or the sword is raised or the mine shaft lies before us. Instead, the decision to die for Christ is made long before the moment of urgency. It is made in the daily, mundane routines of life. Because it is made daily, in the mundane routines of life, it is no less brave. Life is difficult, and it can become more difficult if lived according to the commandments of Christ and the dictates of conscience. However, life will also become more free, more purposeful, more joyful, more rewarding. The death of St. Elizabeth the New Martyr tells us about how she lived. She spent a little time each day evaluating her priorities and channeled her time and energy toward what she understood to be the most important things in life. Over time, those small but regular decisions to surrender to Christ resulted in a powerful inner spirit, powerful enough to embrace martyrdom for her Lord and for those she loved. Here is how one saint describes it.